Northern Region held a diving weekend based around Loch Duich which was well attended by an enthusiastic and varied group of divers from all over Scotland. While most people camped, some stayed in the Ratagan hostel and some folk slumbed it in the Kintail Lodge hotel. On Saturday, sites on the Southern side of the loch, towards Totaig point were dived with some interesting drifts being reported. On Sunday I made an early start and joined the rest of the participants for the day. Surprisingly it took just 30 minutes longer than the trip to Oban, which is certainly something to think about. Sundays dive sites were ‘Dornie Corners’ just short of Eilean Donnas castle and ‘Jacobite bay’ at the Kintail Lodge hotel. 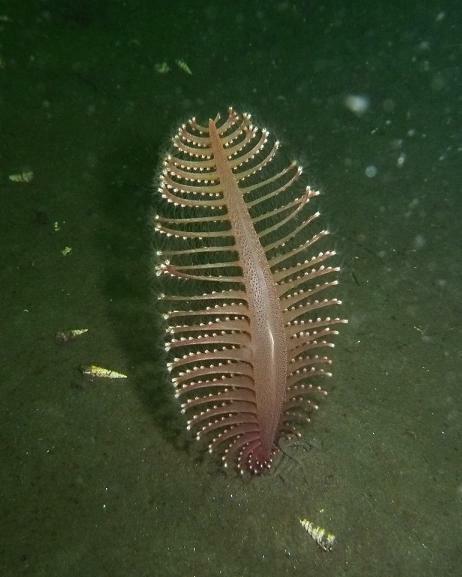 Both interesting dives with a variety of topography and life. ‘Dornie Corners’ were found to be a sand and mud slope which ended on steep glacial slabs that disappeared into the gloom. The dive set off down the slabs and drifted at a desired depth until bottom time expired. 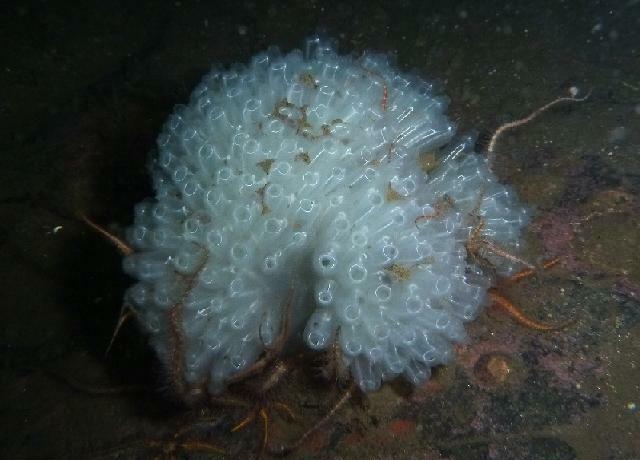 Some interesting life floated by including the colonial sea squirts and shoals of queen scallops. Putting in a couple of stops on the ascent seemed sensible today and stopped the alarm screaming! Second dive was near the Kintail Lodge hotel on the old road that turns off by the Jacobite restaurant, here a little sandy bay leads gently down to 15m (although does go further) where the beast that I had come to see was reported. 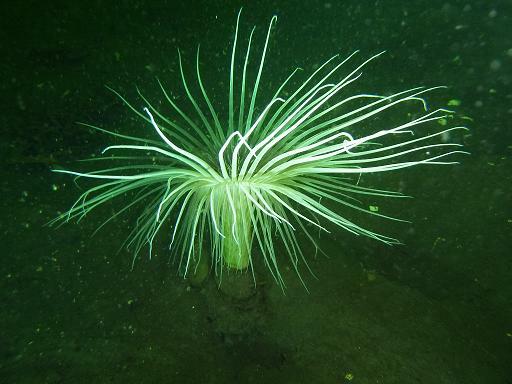 The fireworks anenomie is a fantastic sight, at over 50cm across it stands out like a light house. 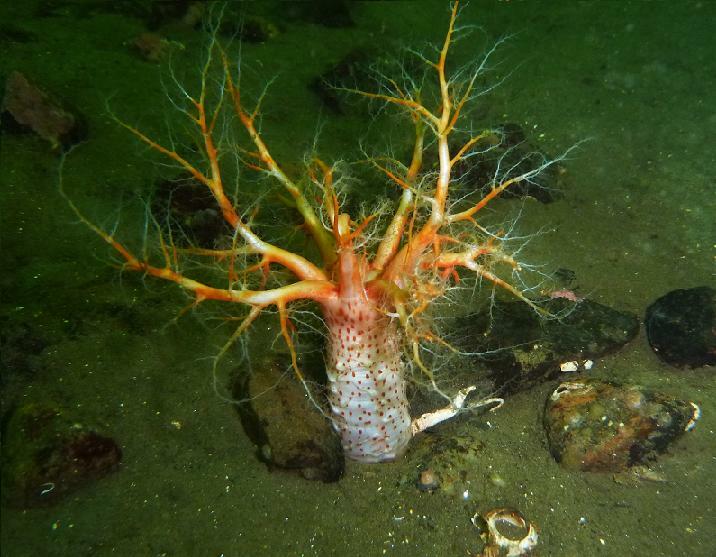 Quite an interesting site as we also found all three sea pens, a forest of sea cucumbers and a docile Pipe fish. All dives completed without incident and apart from a set of keys going missing which delayed departures, an enjoyable day had by all assisted by some very reasonable weather.